DENVER (AP) — Some Colorado lawmakers want to ask voters in November whether sports betting should be legal in the state. ASPEN, Colo. (AP) — A Colorado man has admitted to taking extreme measures when he retaliated against a hunter who legally killed a bear. GREELEY, Colo. (AP) — A 58-year-old man has been charged in the death of a Colorado State Patrol trooper who was struck and killed by a car during last month's blizzard. GREELEY, Colo. (AP) — Prosecutors have cleared four northern Colorado sheriff's deputies who were involved in a confrontation with a man who died after he was shot with a stun gun. 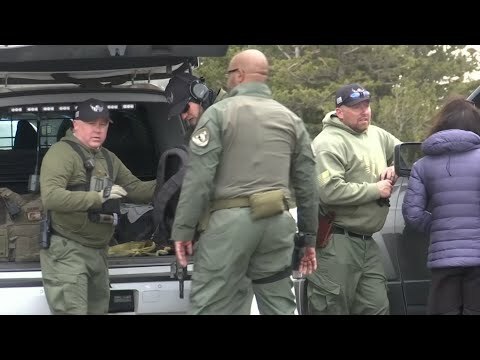 COLORADO SPRINGS, Colo. (AP) — Police have ended the search of a Colorado landfill for the remains of a woman thought to have been beaten to death by her fiance. DURANGO, Colo. (AP) — Colorado wildlife officials are warning residents to take precaution as bears begin to wake up from their winter slumber.